The Louisiana State Bond Commission on Thursday voted to block two giant banks — Citigroup and Bank of America — from taking part in a $600 million highway project plan, The Washington Times reported. The decision was made in light of the banks' anti-gun policies that were adopted after the shooting at Marjory Stoneman Douglas High School in Florida. The Commission voted 7-6 to keep the banks from participating in the project. The move is said the state's way of saying they won't do business with anti-gunners. “I personally believe the policies of these banks are an infringement on the rights of Louisiana citizens,” Bond Commission Chairman and State Treasurer John M. Schroder said in a statement. “As a veteran and former member of law enforcement, I take the Second Amendment very seriously. 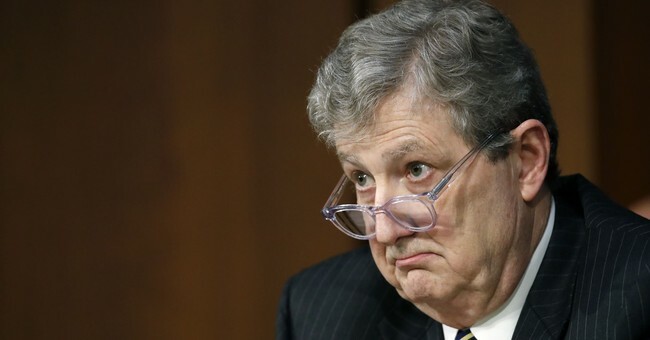 Louisiana Senator John Kennedy (R) applauded the Commission's vote. In fact, earlier this year, Kennedy had previously urged state officials to reevaluate all contracts with Citigroup and Bank of America over their stances on the Second Amendment. According to Kennedy, the banks are the ones who brought gun legislation into the debate, not the Commission. “It is not us who brought the social police into this commission — it is these institutions who did so, and in a very, very public way,” Kennedy told The Times. The two banks control one-third of the United States government bonds and almost a quarter of the state's bond obligations, The Daily Caller reported. Back in March, Citigroup announced it would no longer do business with clients who sell firearms to those under the age of 21 and those who sell high capacity magazines. Back in April, Bank of America announced it would no longer do business with gun manufacturers who produced AR-15s.